As we jump two feet into winter, I've amped up my skincare regime. For as long as I can remember, my skincare goals consisted of no more than keeping my skin clear. Now that I am getting older, I've started to obsess over keeping my skin YOUNG! You know when you raise your eyebrows and your forehead wrinkles? Well I can proudly say, my forehead has yet to do so and I intend to keep it that way. I recently discovered Shisedo Brand, Clé de Peau, the number one luxury beauty brand in Japan and have been using the award winning face cream and eye cream contour, every night, for 10 days. La Crème is a multi-benefit night cream that firms and tightens skin while brightening to address my main skin care concerns; wrinkles, texture and pores. Since using the cream, I've noticed in the mornings my skin feels tight and my face shape is changing to look more pulled back, HELLO TIGHTENING ACTION! Le crème contour des yeux is my favourite of the two. It targets wrinkles, dark circles, dullness, visible sagging and loss of firmness. My favourite part of the product is the massage tool that it comes with. After I put the cream around my eyes, I glide the tool under my eyes in a circular motion and repeat 6 times. This helps relieve puffiness in the eyes and that I can honestly feel immediately as I'm using it. 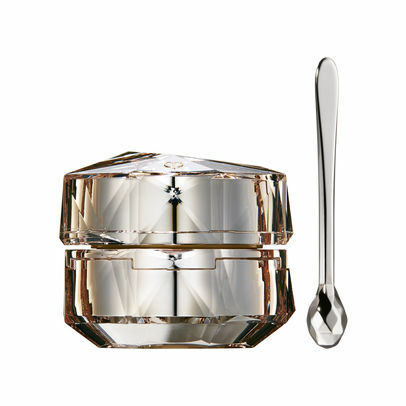 I am looking forward to what long term changes I will see as I continue to use Clé de Peau!